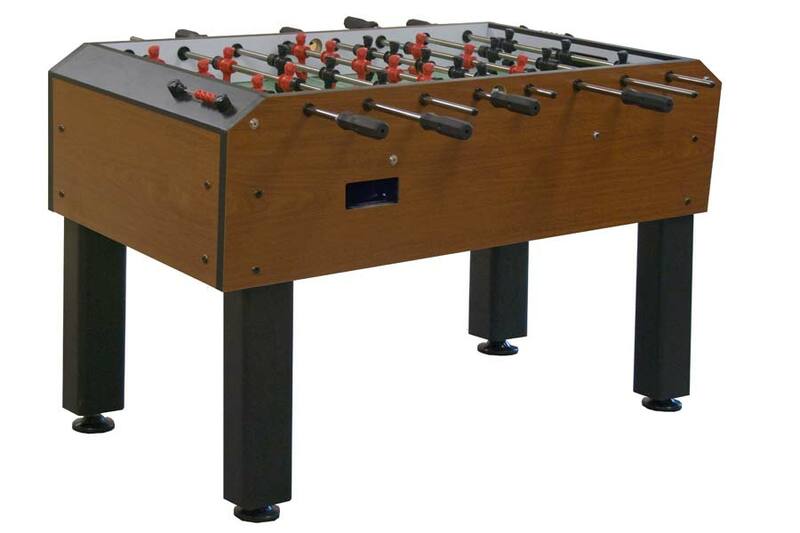 You are here Olhausen Madrid Foosball Madrid Foosball Table General Information Specifications The Madrid foosball table features leg levelers, counter balanced men and comes in a stunning Traditional Mahogany stain. Ball returns on both sides, centerless ground balls, high tensile rods, a 1-1/2" thick cabinet and 16" apron height give you exceptional play. 56"L x 30"W x 36"H and weighs 245 pounds. Included with this table: 3 balls, spirol pin punch, 2 additional men, rod block and lubricant. The Madrid is the top of the line Olhausen Games foosball table. Incredibly stable and durable, sure to give you years of foosball fun.